Spent some time today clearing away some of the clutter underneath the railway baseboard. Won't bother with a photograph of that. 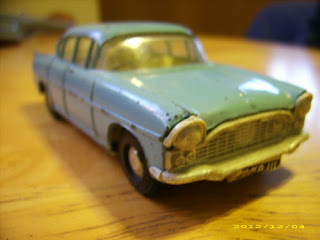 Browsed the internet for interesting images and found the website of a chap who collects models of Bristol cars. He's listed and photographed the contents of his collection - and it is huge and pretty much exhaustive. I found it a fascinating record of a collection. I really loved this photograph of Bristol 406s made by the Spot On company. Somewhere, I have one of these. Spot On were a rival to Dinky Toys and Corgi Toys. 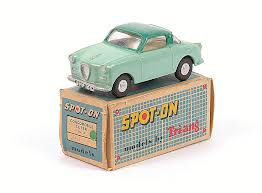 The other two Spot On models I remember having were a Gogomobile and a Vauxhall Cresta. The last photograph is from somebody's eBay site where the model sold for £15 last year. Desert Island Discs: Kirsty Young was interviewing the author of the children's book "Skellig", David Almond. I'd not heard of him; the book rings a faint bell. Great Lives: Where former Tory MP, Matthew Parris, interviews people about their heroes. This week Neil Innes talks about his hero and friend, the late Vivian Stanshall. I like Matthew Parris. 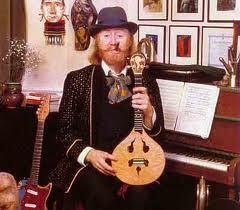 Vivian Stanshall was a wonderful eccentric on my landscape as I grew up. So this programme was a trip down memory lane. Half way through the programme, Matthew Parris said that he found Vivian Stanshall very boring. This is another incident of the non-transitivity of taste. Matthew Parris does not like Vivian Stanshall. Yet, I like Vivian Stanshall. 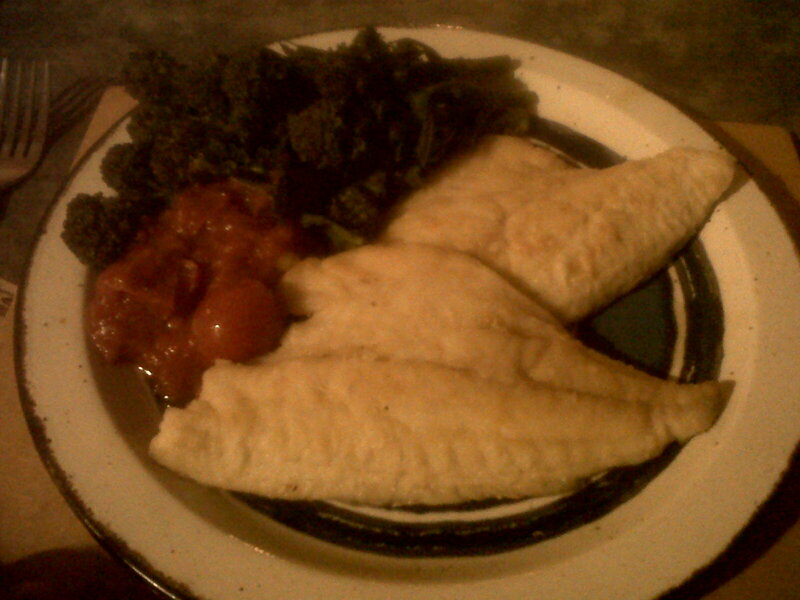 Sea Bream, broccoli and tomato sauce from a jar. This compares with the previous week's daily average of £3.69. 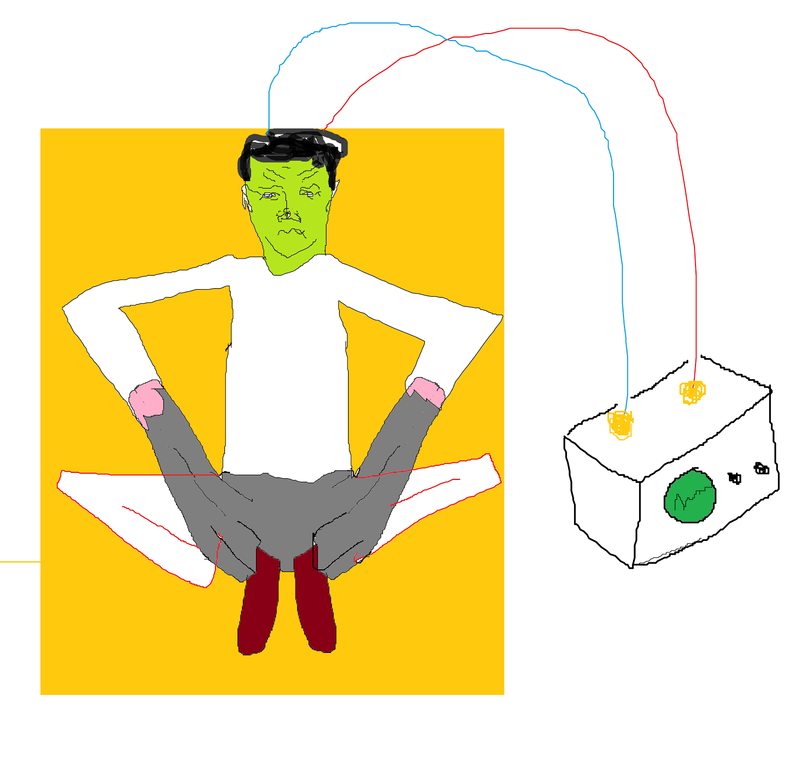 In the end, I pulled myself together yesterday and did my 30 minutes cross-legged staring at the wall. Simply sat in silence. Not much to report. 1) Perhaps I should spend each session repeatedly and intensely (desperately?) asking God for the gift of wisdom, a la Solomon. 2) Or maybe spend the time bringing to mind all those who are in some kind of dire situation eg paralysed in a hospital ward; bankrupt; humiliated; lonely. 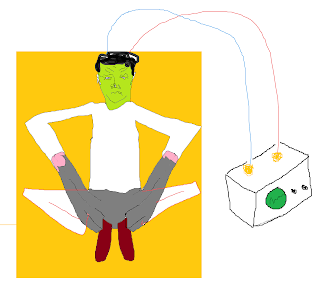 3) I believe that there has been scientific research into neurological changes that can be recorded during the act of meditation. I must look into that.